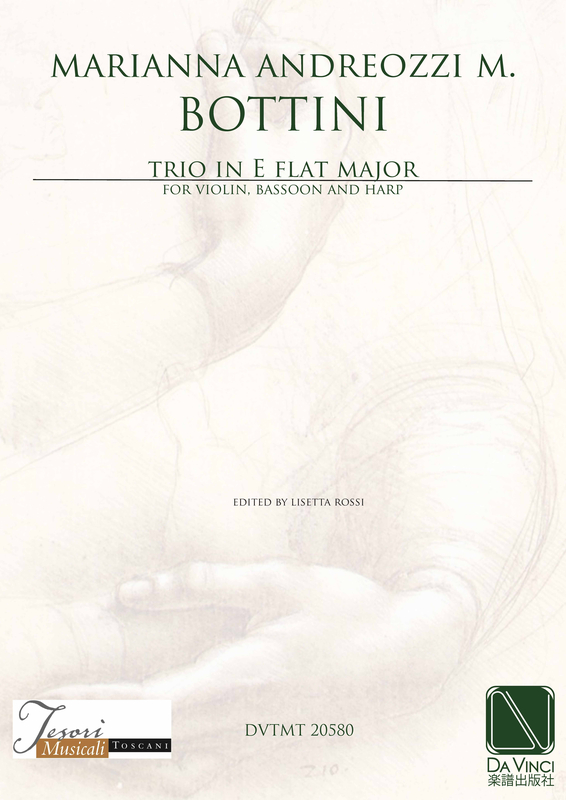 Marianna A.M. Bottini: (b Lucca, 7 Nov 1802; d Lucca, 25 Jan 1858). Italian composer and harp teacher. Her parents were the nobleman Sebastiano Motroni Andreozzi and his wife Eleonora Flekestein. She studied the piano and counterpoint with Domenico Quilici. In 1820 she was admitted to the Accademia Filarmonica in Bologna as ‘Maestra compositrice onoraria’ on account of a Stabat mater and a Messa da Requiemwritten in 1819 in memory of her mother. In 1823 she married Lorenzo Bottini, a marquis and prominent figure in Luccan political life. Most of her output dates from her early years, from the ages of 13 to 20. It includes arias, duets, romanze and other pieces composed for the refined salons of the Luccan nobility, and contrapuntal sacred works. She was the only woman to provide compositions for the traditional Luccan festival in honour of St Cecilia in 1822, 1825, 1828, 1832, 1834 and 1840.